Ask Harold Kooden how old he is, and he’ll happily give you a number: 82. Ask him how old he feels, however, and his answer becomes considerably more nuanced. So yes, in many ways, the semi-retired psychologist feels all of his 82 years. He’s lived a whole lot of life—the past three decades with HIV—and has done many things to help propel society forward during that time. But the New Yorker refuses to relax, choosing instead to hit the gym five days per week, keep a finger on the pulse of today’s most pressing issues, and travel to all corners of the world with his husband, John. 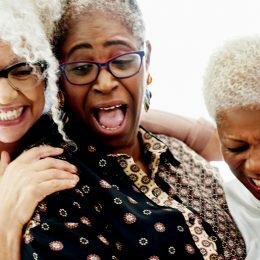 “Successful aging is about not denying your age,” says Harold, who has extensively studied the topic and specifically its impact on gay life. He’s well aware he’s 82—and he’s loving every moment. 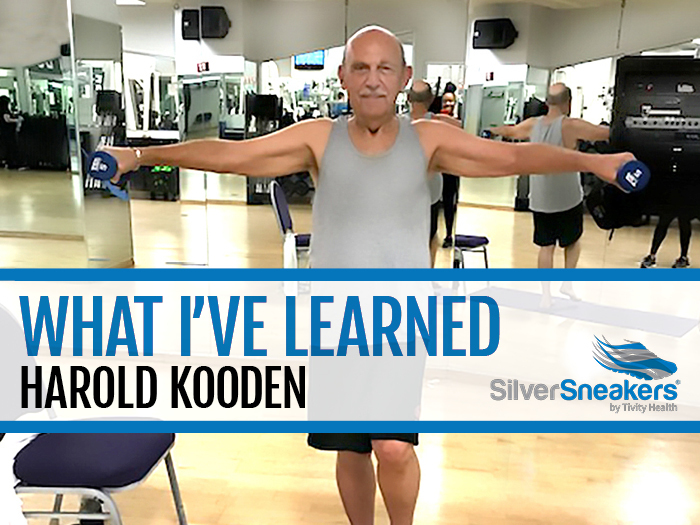 Here’s how Harold has used all the events in his life—including his HIV-positive diagnosis and a brush with death—to be the fit, forward-looking man he is today. In 1967, on a Friday, Harold earned his doctorate in human development from the University of Chicago, where he spent the bulk of his 20s collecting degrees. Three days later, he moved to Manhattan to start work as a clinical psychologist. Though he logged plenty of time in the Windy City and grew up in California before that, his commitment to health began in earnest in New York. This was in the middle of the counterculture movement, which found activists like Harold working to pursue and advocate for alternate methods for physical and mental health care. At the same time, Harold, who was one of the first openly gay therapists in New York, became heavily involved in gay rights organizations and worked with the American Psychological Association to change its policies concerning homosexuality. Before long, Harold’s reputation in New York’s gay community helped him launch a flourishing private practice. When the HIV/AIDS epidemic hit New York in the early 1980s, Harold found himself on the front lines. Since many of the people he knew were affected by the mysterious, immune system–attacking disease, Harold started the New York AIDS Network to help facilitate communication between gay organizations and the local and federal governments. “We accomplished all of our goals in just a few years,” he says. At the same time he was crushing his professional goals, Harold started taking steps to boost his own immunity. That meant swearing off alcohol and certain medications, but also trying his hand at yoga—his first real stab at fitness. He eventually joined a gym and made exercise part of his daily routine, especially as he watched his friends and patients die from the terrible disease infiltrating his city. Harold had hope, even as he suspected he was HIV-positive. After years of brushing off tests, Harold received an official positive diagnosis in 1987, the day before his partner, Jim, learned he had AIDS. Harold spent the next three years caring for his partner, who became paralyzed, wheelchair-bound, and then bed-bound before sadly succumbing to AIDS in 1990. Not long after Jim’s death, Harold ended up in the hospital with pneumonia. “It was the first time I really started wondering what was going to happen to me,” he says. He’d need to clear one more hurdle before forging a healthy future. In 1992, Harold landed in a hospital again with gastritis. The problem? His doctor mistakenly diagnosed him with another ailment and prescribed him medications that made him so weak he nearly died. “It took me eight months to recover,” Harold says. The hospital scene was getting pretty old. So Harold embarked on a mission to ensure he’d never have to stay there again. After his recovery, Harold resumed practicing and writing articles, one of which became the basis for his book, Golden Men: The Power of Gay Midlife, published in 2000. That’s right around the time he met John, an art history professor. 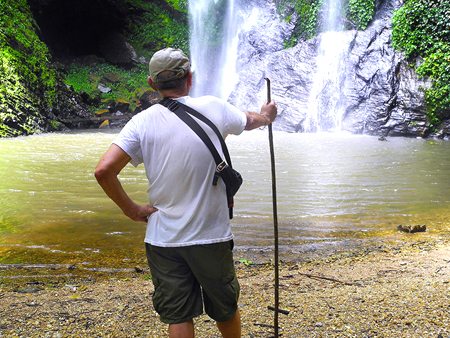 Harold at Tagbo Falls in Liati Wote, Ghana. The couple, who married in 2015, love to see the world together. In the past few years, they’ve visited Brazil, Iran, and China, and spent Harold’s 80th birthday on a houseboat in Kashmir, India. “That was a dream of mine,” he says. 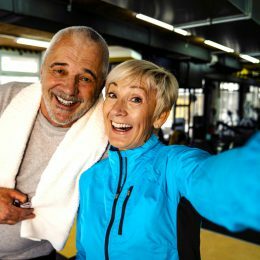 With a personal life more fulfilling than ever and a successful career slowly winding to a close—he still sees a handful of patients—the only thing Harold needed to solidify was his fitness. Though he occasionally worked out and maintained a healthy weight, he lacked the will to fully commit. 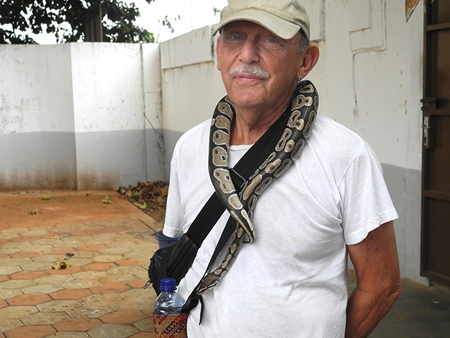 Harold at Temple des Pythons in Ouidah, Benin. 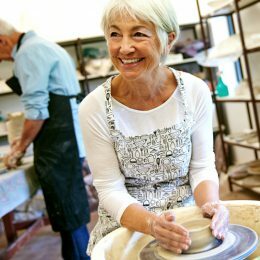 Around six years ago, Harold discovered he was eligible to take free SilverSneakers classes at his gym on the Upper West Side of Manhattan. “I’ve found SilverSneakers to be so essential,” he says. Harold makes sure to mix all kinds of workouts into his weekly routine. He takes yoga, full-body conditioning classes, and hones his balance in personal training sessions. “I measure how well I’m doing in the classes by how much I sweat during them,” he says. “And every time, my shirt is sopping wet at the end.” Mission accomplished. But he also appreciates his classes—and workout buddies—on a deeper level.